Individual sharks, studied in groups of ten, showed consistent social habits - either forming groups with other sharks or finding camouflage on their own. When a group was shifted into a new environment, individual sharks showed the same patterns of behaviour. This is the first study to show that sharks have their own personalities. The research was done in large tanks at the Marine Biological Association of the UK, in Plymouth, in collaboration with the University of Exeter. The findings appear in the journal Behavioural Ecology and Sociobiology. Ten different groups, each containing ten small spotted catsharks, were each studied in three different situations. Some were complex environments with lots of rocks and other features, and some were simple tanks with gravel on the bottom. Even though the overall number and size of sub-groups among the ten sharks often changed between environments, the individual sharks that tended to form big groups continued to do so, no matter what the situation. Similarly, the more antisocial specimens remained on their own, or in much smaller groups. "The results were driven by different social preferences, that appeared to reflect different strategies for staying safe," said lead author Dr David Jacoby, a behavioural ecologist now working at the Institute of Zoology in London. "Well-connected individuals formed conspicuous groups, while less social individuals tended to camouflage alone, matching their skin colour with the colour of the gravel in the bottom of the tank," Dr Jacoby said. Prof William Hughes, an animal behaviour expert at the University of Sussex, said he was impressed by the level of detail in the results. 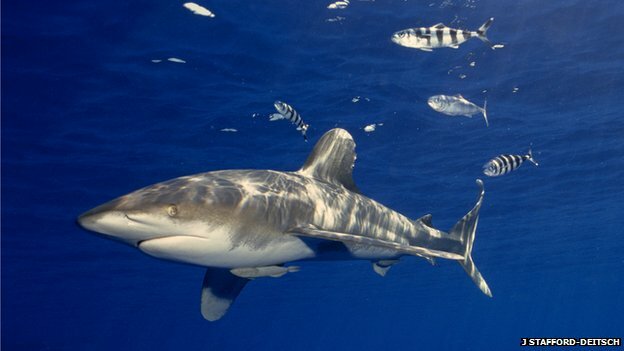 "They recorded which shark was hanging around with which other sharks, on a number of occasions across two days - so they got a very, very detailed picture of the social relationships," he told BBC News. Prof Hughes said the experiments could be compared to watching a group of people: "Imagine if we took ten work colleagues and plonked them in a bar, and observed which individuals sat with which other individuals over the course of an evening." Then imagine repeating the experiments in a nightclub, rather than a bar. And then perhaps back at work - and then, repeating the whole exercise with nine other groups of ten colleagues. Individual people would tend to form bigger or smaller groups no matter what the situation, much like the sharks. "It's a very nice piece of work. It provides some pretty reasonable evidence that sharks show a form of social personality," Prof Hughes said. The result is not altogether surprising, he added. Over the last decade or more, a minor revolution in animal behaviour research has amassed similar evidence for consistent, individual behaviour differences within a large number of species. "Probably all animals show it, to some extent," Prof Hughes explained. Jean-Sebastien Finger is a PhD student at the Humboldt University in Germany, investigating the existence of personalities in another species, the lemon shark. His work is based at the Bimini Biological Field Station in the Bahamas. Mr Finger agrees that the result was not unexpected. "Personality has been seen everywhere - in almost every taxon of animals," he told the BBC. "Sharks haven't really been tested before." Mr Finger said his own research had found "strong preliminary evidence" for consistent differences in lemon sharks. "I think it will be quite good to compare the two species," he said. Dr Jacoby is also looking forward to comparing notes. 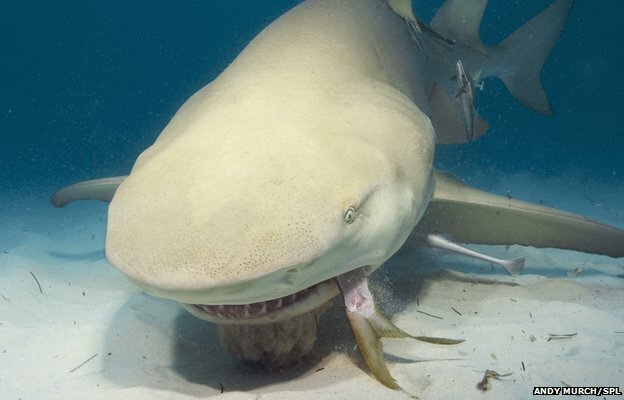 "I'd expect there to be similar sorts of traits in other species," he said, adding that the Bahamas project looks at sharks in the wild, which is important. "Ours was captive study - but it gave us an opportunity to manipulate and control these experiments, which is unusual in shark studies."